Govan Law Centre’s Education Law Unit is Scotland’s expert legal resource in the field of school education. We focus on tackling discrimination, promoting human rights and the rights of disabled pupils and pupils with additional support needs. This is a national project, we can advise anyone in Scotland – although we may not be able to represent you. CLICK HERE FOR TEMPLATE LETTERS, DOCUMENTS AND HELPFUL RESOURCES. 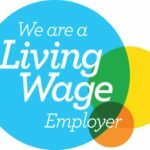 STAFF, FUNDING AND WHAT WE DO? Our Education Law Unit works in partnership with schools, education authorities, parents’ groups and charities across Scotland to make pupils’ rights and parents’ rights in education a reality. It is run by specialist solicitors and education caseworkers. It is funded by the Scottish Government. Our ongoing work with outside organisations, results in them being more aware of the rights of children with additional support needs and those of their families and are better able to assist in securing those rights, even in the face of difficulties and delay. 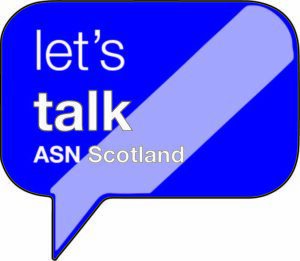 Lets Talk ASN Scotland. Let’s Talk ASN Scotland is run in partnership with Barnardos. The service provides advocacy support for families with a right of reference to the ASN Tribunal for Scotland. It is funded by the Scottish Government. Education Law Helpline. This is available to anyone who has an enquiry about any legal aspect of additional support needs in education in Scotland. We have specialists who can assist you. Please ring the Govan Law Centre number or email advice@edlaw.org.uk. In-house training to advocacy groups, parents’ organisations, the voluntary sector, schools and other education professionals. Our solicitors and case workers regularly contribute to seminars, conferences and training events. We are happy to tailor events to meet your requirements. Information and guides for pupils, parents and schools on aspects of education law. Our information work includes: A guide for parents on bullying and the law; Pupils rights using social media; guidance on the Education (Additional Support for Learning) (Scotland) Act 2004; and additional support for learning for looked after children. INFORMATION WORK Our aim is to inform parents, pupils and others about their rights and responsibilities. We hope to empower families and pupils to make the right decisions and to work with the right agencies to help them get the education they are entitled to and to protect the children from harm. Strategic Litigation and Policy Unit allows solicitors to represent pupils or parents in cases of strategic importance.